Fashion took a dramatic change for women in the seventies and men in the eighties. In the 1970s, acid perms were invented. These use glycerol monothioglycolate instead and contain no ammonia. They are sometimes called buffered waves. This perm is slower but gentler to the hair. Heat is usually added by placing the client under a dryer, after covering the wrapped head with a plastic cap. Suddenly everyone who had straight hair wanted curly hair and every curly haired person wanted straighteners and hair like the fashion of the fifties. This was all very well for females. 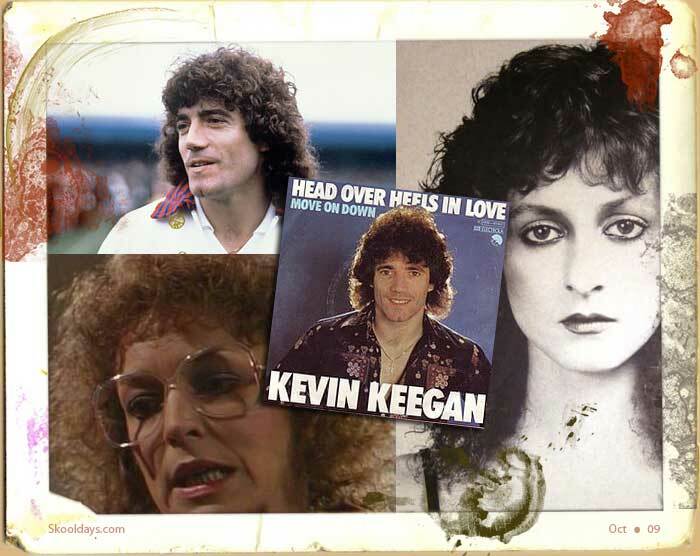 It all changed again when Football icon Kevin Keegan had a perm almost Afro in nature. Suddenly every football player needed a perm thinking it may effect there ability on the pitch. The fashion soon died and fell out of fashion as quick as the perm itself fell out. This entry was posted in Fashion, Pop Culture and tagged 1970 by Skooldays. Bookmark the permalink.